Matchless - I Say Ding Dong Shop - Buy Stickers, Decals & Unique Automobilia. Matchless 'Life's Fun With A' Art Banner. Special Offer to Clear. 30" x 26". Matchless Cafe Racer with Spotty Scarf Sticker. 3". Matchless Champion Spark Plug HT Cap Cover Badges. 29mm Pair. 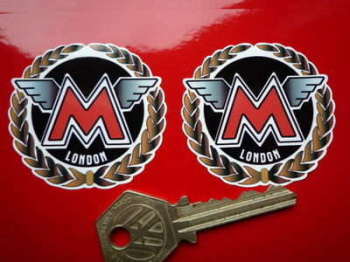 Matchless Circled M Stickers. 1.5" Pair. 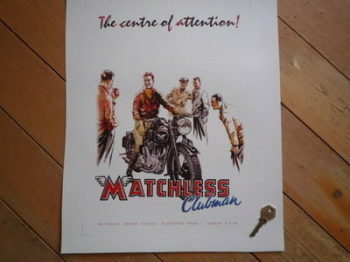 Matchless Clubman Advert Photo Art Print. 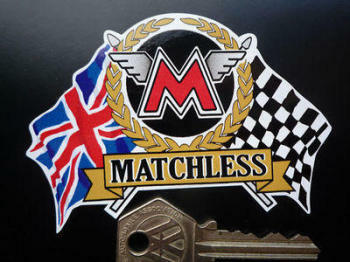 Matchless Cream Shaped Sticker. 90mm. Matchless Flags & Scroll Sticker. 4". Matchless For Better Motorcycling Banner Art. Special Offer to Clear. 20" x 28". 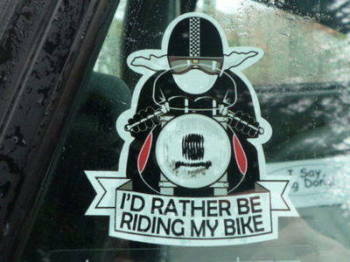 Matchless For Better Motorcycling Oblong Sticker. 6.5". Matchless Garland Style 1 Side Panel Sticker. 2". Matchless Garland Style 2 Side Panel Sticker. 4". Matchless Great Britain Union Jack Style Stickers. 2" Pair. 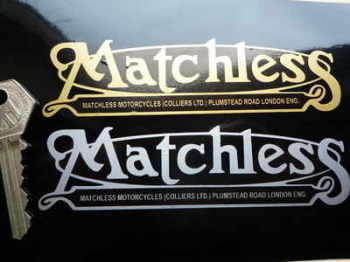 Matchless London Round Garland Stickers. 2". 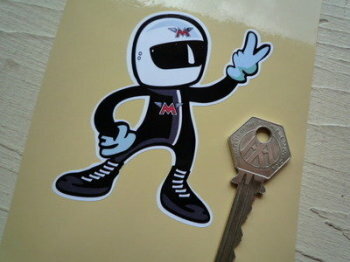 Matchless Motorcycles Sales & Service Workshop Sticker. 23.5". 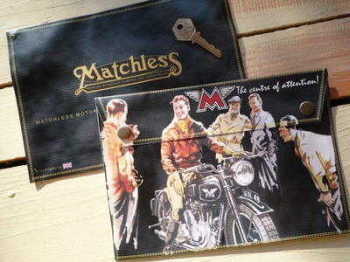 Matchless Motorcycles, London, Banner Art. 28". Matchless Mudguard Script Style Laser Cut Magnet. 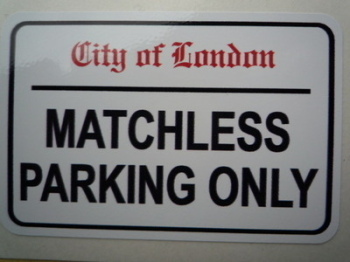 3"
Matchless Parking Only. London Street Sign Style Sticker. 3", 6" or 12". 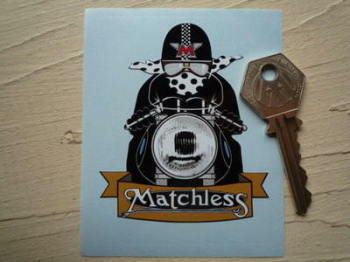 Matchless Rider 2 Fingered Salute Sticker. 3.5". Matchless Royal Flush Playing Cards Style Sticker. 4". 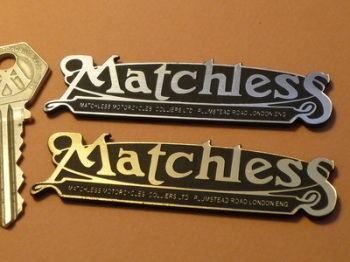 Matchless Script Laser Cut Self Adhesive Bike Badge. 3.25". Matchless Till I Die Skull Sticker. 3". Matchless Union Jack Fade to Black Oval Sticker. 4". Matchless Winged Helmet Rider Stickers. 3" Handed Pair. 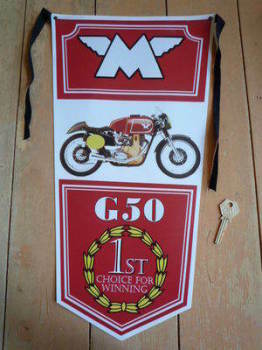 Matchless Winged M Laser Cut Self Adhesive Bike Badge. 3.25".